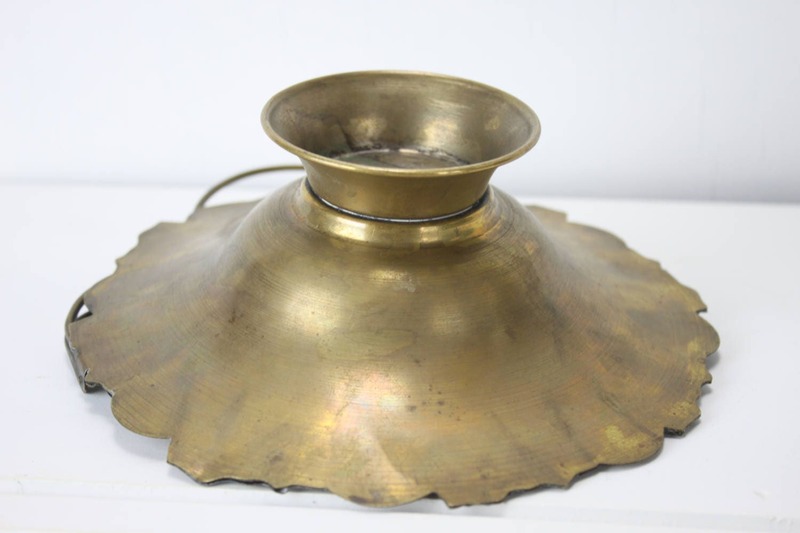 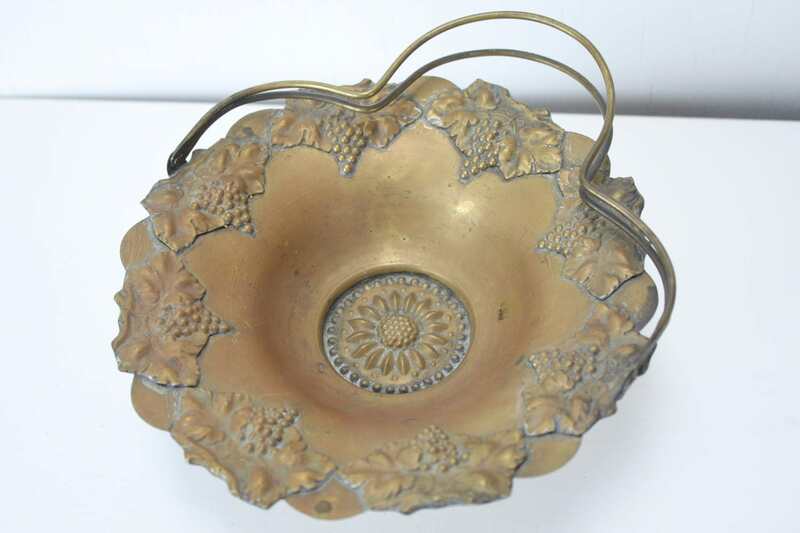 This vintage fruit bowl is made from spun brass with a stamped brass, grapevine applique soldiered along its border. 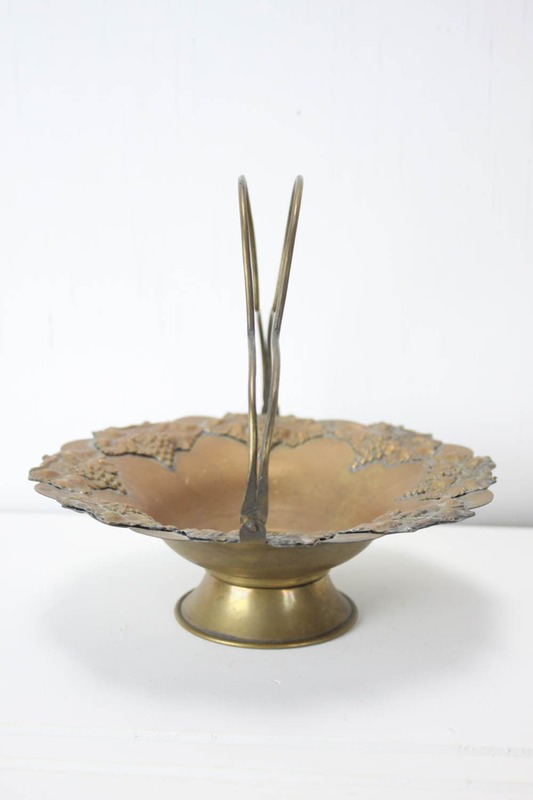 The handle is made from brass wire and displays the uniques of a handmade piece. 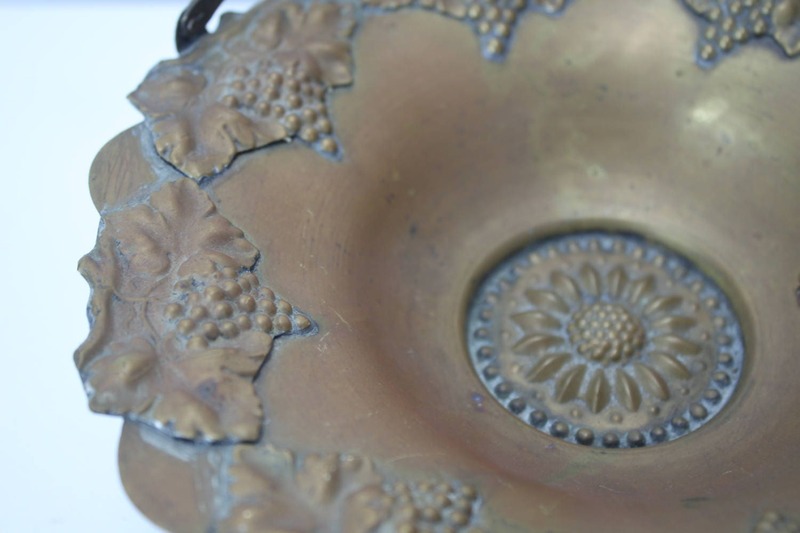 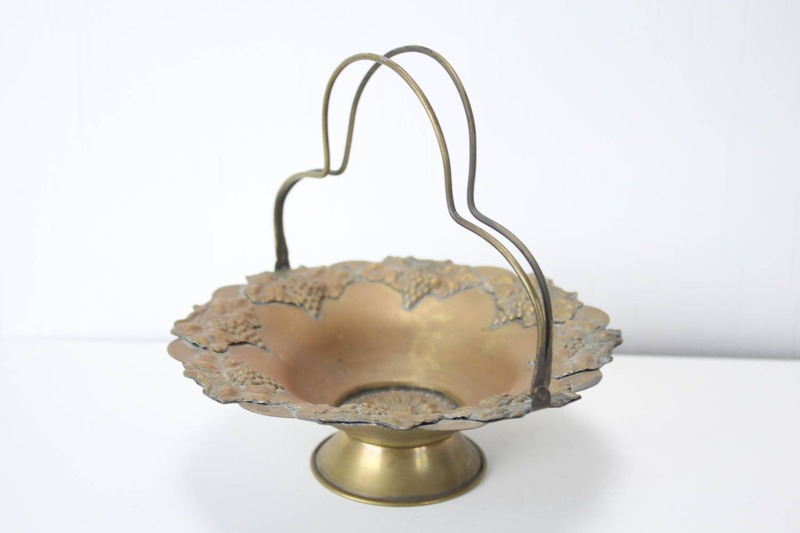 The bowl features a warm patina and would make a great centerpiece for any table!